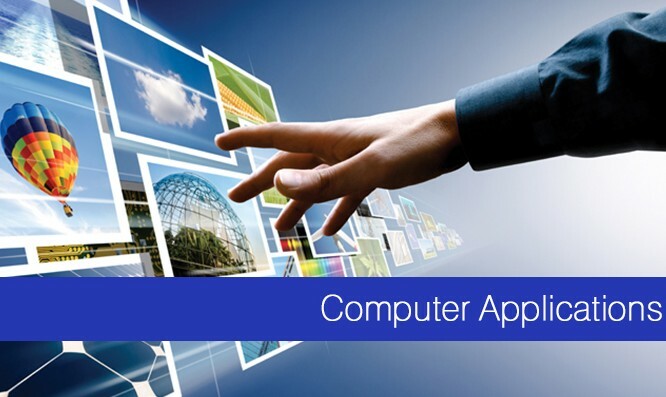 Computer applications in education is a broad and changing term due to the breadth of the area of study and the rapid and ever-changing nature of technology. Computer applications include, but are not limited to, desktop publishing and presentations, computer use in classrooms, telecommunications and distance education, computer hardware and software, networking, lab administration, multimedia presentations, and publishing. Obviously, we cannot cover them all in just one fifteen week course. Additionally, it does not help to learn to use technology in isolation, especially when technology changes quickly and dramatically. Candidate who wants to make career in this field should have command over coding languages such as C++, Java, Ruby, Python and PHP, as well as CSS and HTML. He should have to perform object-relational modeling, database design, software modeling and software architecture. Graduates of a bachelor's degree program in computer applications programming, sometimes called software engineering, may find employment as computer applications software engineers or computer programmers. Computer applications software engineers design software, such as operating systems, network control systems, business applications and computer games. After analyzing a user's needs, computer applications software engineers produce computer applications, software and focused utility programs. Depending on the purpose of the program, software engineers use different programming languages, such as C, C++, Python and Java. After a software program has been designed, computer programmers convert the design into instructions for the computer to follow; these instructions are coded using various programming languages. Computer programmers most commonly use C++ and Python for programming. The advantage of Computer Applications is that they meet the exact needs of the user. Since they are designed specifically with one purpose in mind, the user knows that he has to use one specific software to accomplish his task. The threat of viruses invading custom-made applications is very small, since any business that incorporates it can restrict access and can come up with means to protect their network as well.